This transitional collection offers the practicality of both open and closed storage. Rounded drawer handles in a nickel finish complement the collection's simple, elegant lines. Available in 4 finishes. 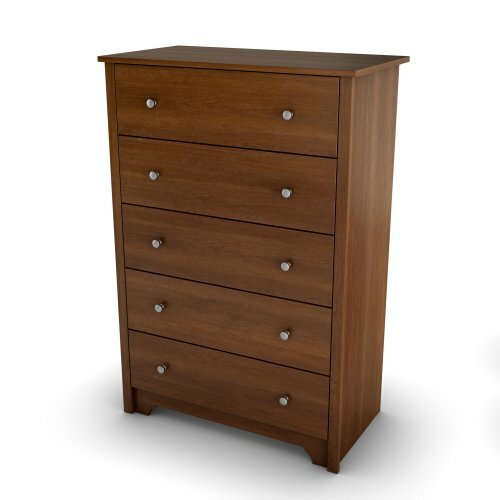 The five drawers of this practical, transitional-style chest are equipped with Smart Glide technology for smooth drawer action. Drawer handles feature an elegant nickel finish.